If you’ve been in an automobile accident, we’re here to tell you that you are in the right place for care. Chiropractic has been shown to be the most effective treatment for motor vehicle trauma. Don’t Wait – Get Checked Immediately! Injuries to the neck caused by a rapid movement of the head are referred to as whiplash. Whether a result of a car accident, sports injury or work injury, whiplash or other neck injuries warrant a thorough chiropractic check-up. The biggest danger with these injuries is that the symptoms can take days, weeks or years to develop. Too often, injury victims don’t seek treatment until more serious complications develop. When you’re in a car accident, several thousand pounds of force are generated over a very small fraction of time, disrupting your joins, ligaments, muscles and brain. 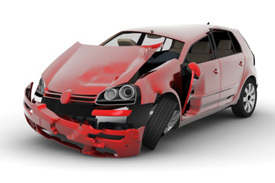 Dr. Sofia and the team at Sofia Chiropractic are well versed in helping auto accident victims. Dr. Sofia’s highly specialized training means he is able to take care of all your injuries. Our administrative staff will be able to help you with forms, billing and all those small details you don’t need to be thinking about at such a time.